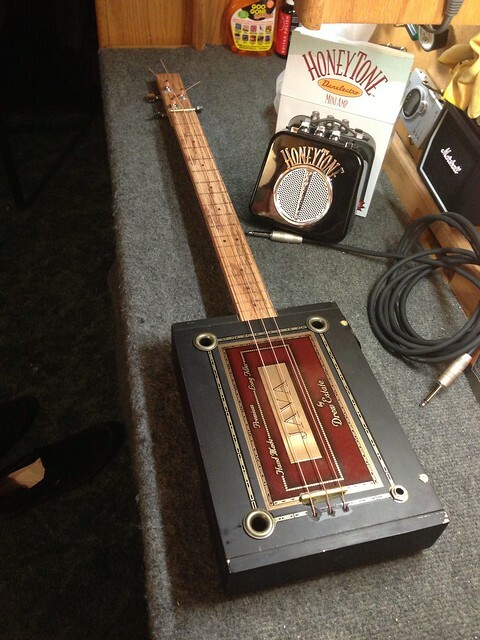 New cigar box guitar day. Picked this up over the weekend. As well as this honey tone amp.